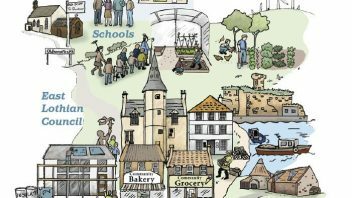 We’re very grateful for this guest post from Philip Revell of Sustaining Dunbar: A few months ago Sustaining Dunbar and East Lothian Council organised an event to look at the local economy. The idea was to get participants from a range of backgrounds together, inspire them with the possibilities offered by moving to a more locally based, low-carbon economy and to facilitate a discussion around how the emergence of this economy can best be supported. Specifically, we were keen to switch our Council’s elected members and officials onto the potential for the creation of skilled local jobs and for the creation and retention of wealth in the local economy. We have been working with our local council since 2008 and can claim some credit for helping to shape some of their policies and the East Lothian Environment Strategy in particular. This strategy was adopted in 2011 and is very much in line with the short-term aims of our own fifteen year ‘Local Resilience Action Plan’. The Environment Strategy introduced the notion of local resilience and undertook to develop a set of local ‘resilience indicators’. 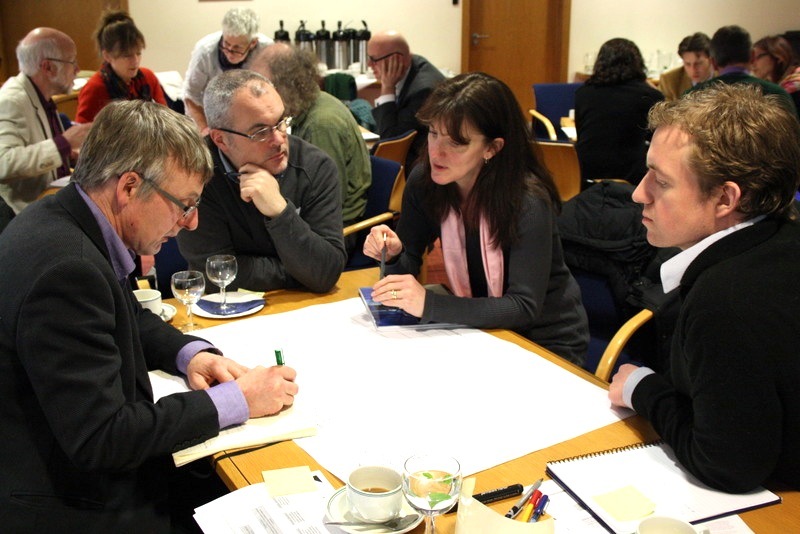 On the back of this, we worked with East Lothian Council to run a workshop in November 2011 which looked at the concept of resilience and what was needed at the strategic level to make East Lothian more resilient. 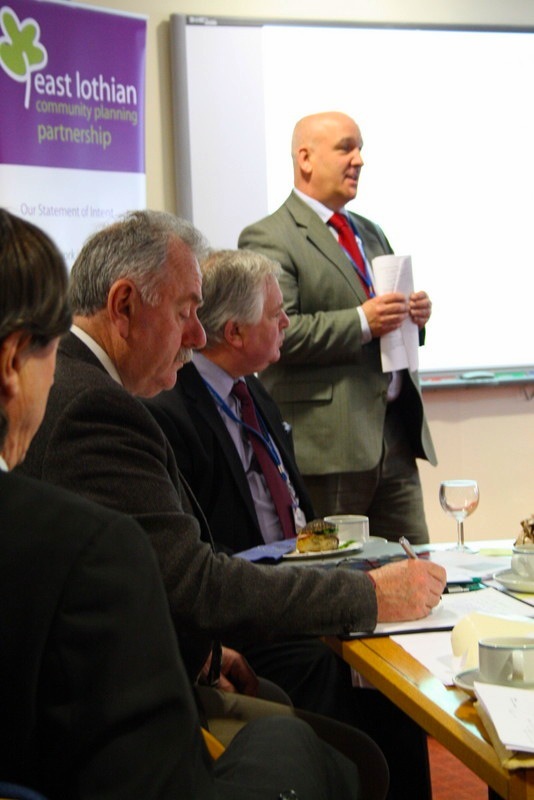 One of the key findings from this workshop, which involved over fifty senior officials, Councillors and others, was that more opportunities for local employment were crucial. Currently, almost half of people in employment commute out of East Lothian for work, mostly to Edinburgh. Over the past few years, Sustaining Dunbar has spawned a number of new enterprises such as Dunbar Community Bakery and so we are well aware of some of the challenges and potential pitfalls involved in setting up a business –from finding suitable and affordable premises to sourcing appropriate advice and finance, to recruiting and training staff etc. By the same token we have direct experience of the huge potential for small, locally owned businesses to maximise the number of jobs that can be supported by a given turnover and for keeping money circulating locally. We are also aware that local and national policies which translate into provision of support services and local infrastructure appropriate for new small businesses could make all the difference to inspire, encourage and enable people and groups to set up new enterprises, including people who wouldn’t ordinarily see themselves as entrepreneurs and those motivated by social or environmental, rather than purely financial goals. 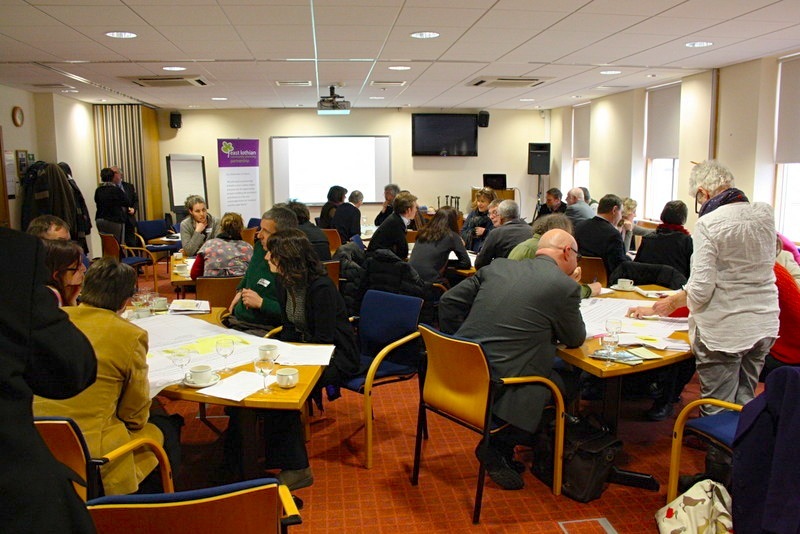 Joined up thinking, with local authorities working in partnership with third sector and community groups, could open up a whole range of new opportunities to develop thriving and resilient local economies from the bottom up. A major restructuring and change of administration later, the Council produced its new Economic Development Strategy in September 2012, including the target of creating at least 7,500 extra local jobs over the next ten years. Whilst couched in the conventional language of ‘sustainable economic growth’ and emphasising the need to attract inward investment, the strategy also recognises that by 2022 we will ‘have a more localised, low carbon, economy focusing around our 6 main towns’. 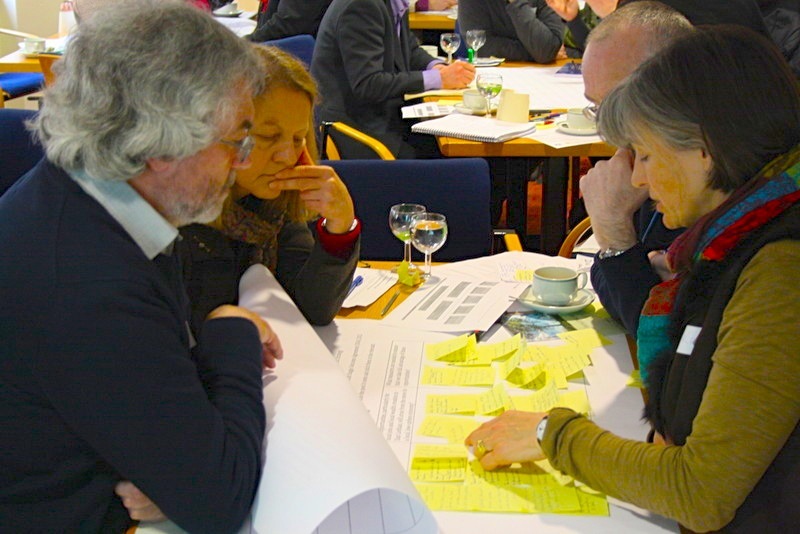 It therefore seemed like a good time to follow up on our previous Resilience Workshop by offering to run an event focused on the potential offered by the transition to a low-carbon economy. 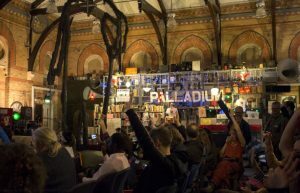 We were encouraged in this by Shane Hughes and Fiona Ward from the REconomy project, the very existence of which provided a very useful feeling of legitimacy and support for our agenda. What will a local, low-carbon economy look like? What opportunities, particularly for local jobs and local wealth creation in East Lothian, will arise from the move to a local, low-carbon economy? What measures are needed to ensure that we take full advantage of these opportunities? 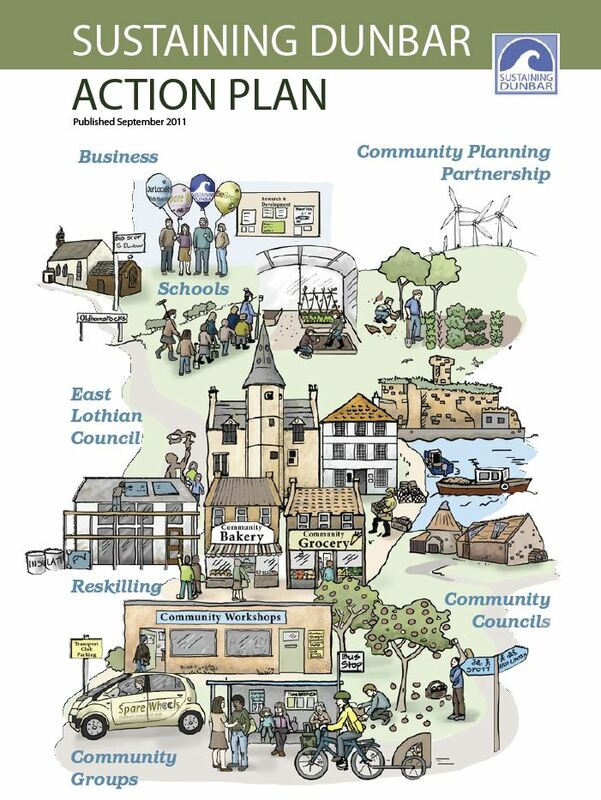 East Lothian Council generously gave us free reign to design the format and invite a suitable range of speakers whilst assisting us with inviting a select group of participants including Councillors, officials, farmers, community activists, business people and educators. We were particularly keen to focus on the potential for transforming the local food economy -East Lothian is one of the most fertile and productive parts of Scotland and yet there is an almost complete disconnect between local farmers and consumers- as well as to look at the potential for job creation and local wealth retention from a programme of eco-refurbishment and to showcase social enterprise and alternative support models for new entrepreneurs. The afternoon started with a buffet lunch provided by Dunbar Community Bakery and an opportunity for the participants to mingle and network. An overview from Councillors John McMillan and Norman Hampshire set the context of the East Lothian Economic and Environment Strategies and this was followed by a series of brief presentations during which participants were encouraged to record their thoughts on the three questions above onto post-it notes. These were later collated to form the proceedings that are available, along with the programme and most of the presentations on the event website here (see the tabs to explore all of the content). 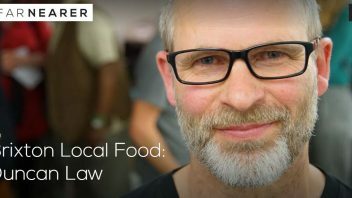 Pete Ritchie from Nourish (Scotland’s Local Food Network)explained the opportunities from moving to smaller scale, agro-ecological farming and relocalised food processing and distribution. Sean Watters, energy advisor with Sustaining Dunbar, gave an overview of the potential for reducing home energy demand and the benefits from doing so whilst local architect David Brackenridge gave a case study of refurbishing a typically hard to heat rural cottage. Chris Ballance explained about the enterprising approach being followed by Moffat CAN. Fiona Ward then presented an overview of REconomy’s economic blueprint work, highlighting some of the findings from the Totnes study while I (Philip Revell) gave a very brief illustration of how a small local food business such as Dunbar Community Bakery can sustain many more jobs and keep much more money circulating locally. Brian Grindley from Sustaining Dunbar then spoke about the potential for ‘Smart Towns’ and superfast broadband and Euan Walker described the Growbiz model for nurturing new enterprise, based on that developed by Ernesto Sirolli. Finally, Caroline St. Johnstone and Sandra Ewing spoke about the work that the Social Enterprise Academy does with young people. In hindsight, while the presentations were excellent, we tried to squeeze a bit too much in and it was too much for people to digest all at once. With the inevitable time overruns, the final activity to develop an action plan and identify indicators to assess progress towards a low-carbon economy was somewhat truncated. And we didn’t quite succeed in creating the clear vision of a future, relocalised, low-carbon economy that we had hoped for. 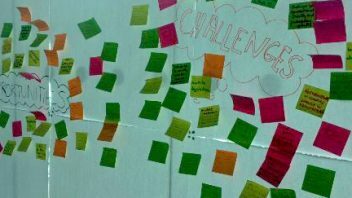 Nonetheless, the event was generally felt to be very successful, and the ideas that participants recorded are now forming the basis for on-going dialogue with East Lothian Council. We will have to wait and see where this leads but it certainly felt like a useful step along the way.